Recent Foodie Finds + a Giveaway! I'm back today with another round up of recent foodie finds plus a GIVEAWAY! Read on for all the delicious options! I finally made it to Presidio in Wicker Park, and I have to say, it's one of the most beautiful restaurant interiors in Chicago. Not only that, they have a killer food and drink menu with a San Francisco/Californian influence. 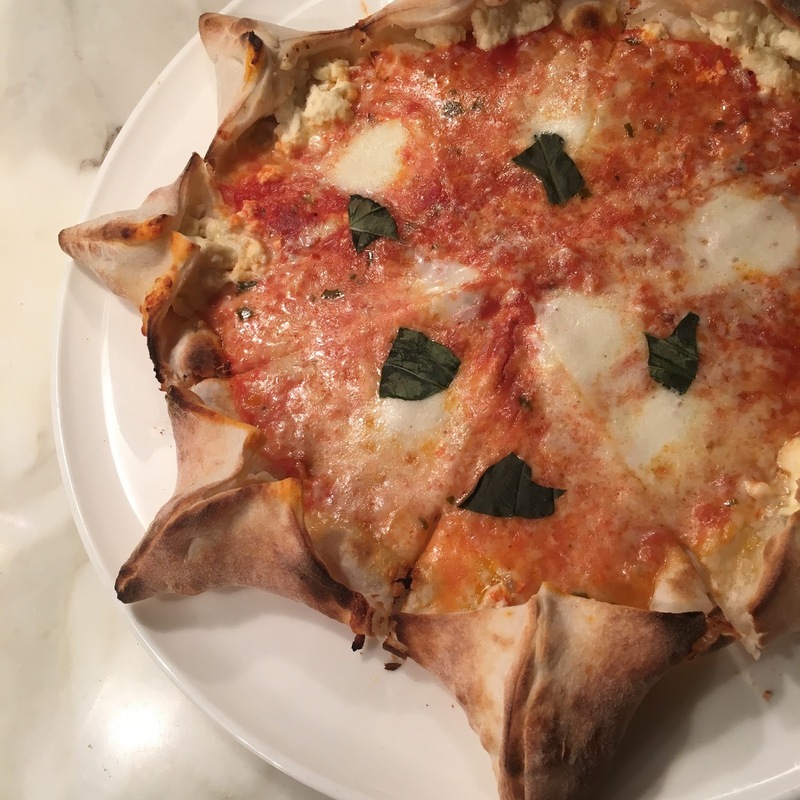 I stopped by for a weeknight dinner with a girlfriend and we loved every bite. My cocktail was incredible; the Presidio punch #1 featured Thai chili infused pisco, mango, lime, and coconut water. They had me at mango and chili-infused pisco. 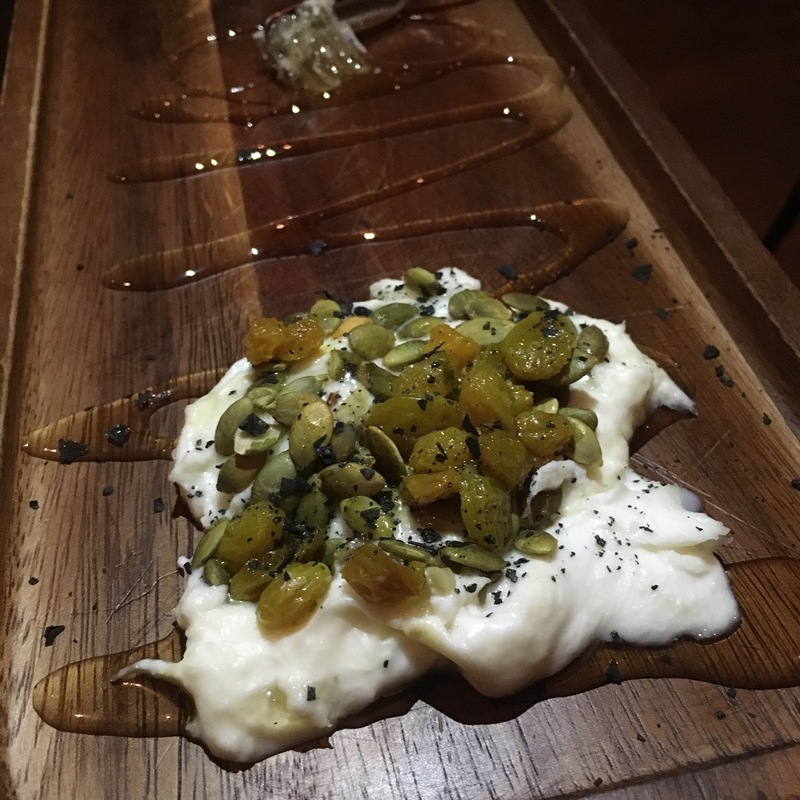 My friend and I decided to share several dishes, including the burrata with honeycomb, toasted pepitas, pickled sultans, and grilled baguette. It was so rich and beautifully plated. Our next course was the heirloom pumpkin soup with coconut milk, black rice, spicy hazelnut pesto, and chili oil. The soup was a vibrant yellow and I enjoyed the kick of spice from the chili oil. 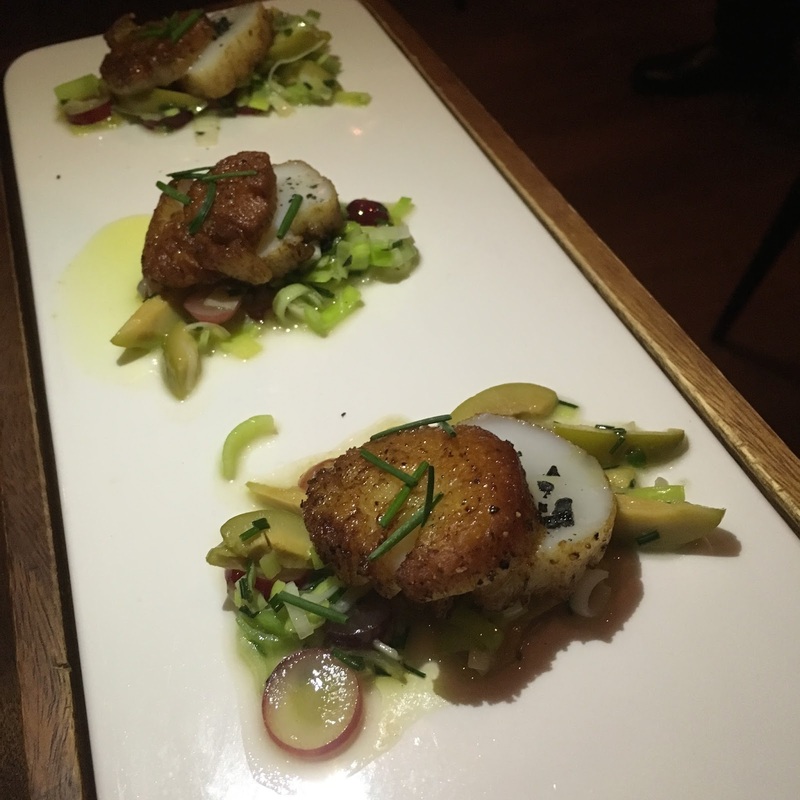 Next were three jumbo scallops sliced horizontally and topped with leeks, grapes, capers, olives, and apple cider. These were way too salty sadly, so we did not enjoy them. Next we shared Presidio's royale with cheese, a prime beef burger with American cheese, and house pickles on a brioche bun. Side note: every Tuesday you can get the royale with cheese, an Anchor Steam draft, and a shot of fernet for $15. 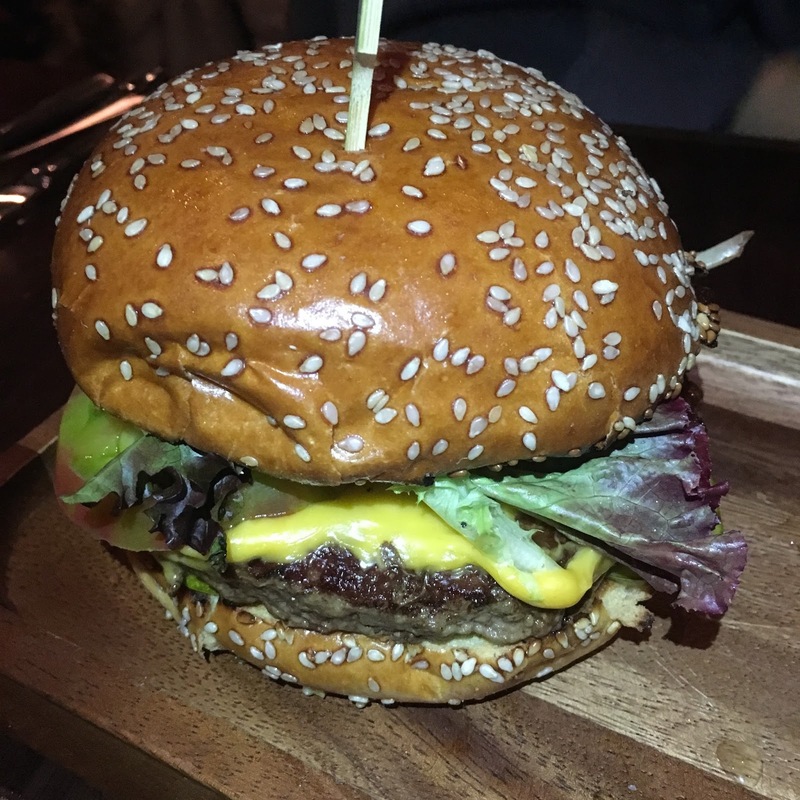 It's a pretty delicious burger! Last, but not least, we saved room for a decadent dessert of duck fat apple streusel with duck fat oats, vanilla ice cream, caramel, and thyme. Yum yum. Just look at those swirls! 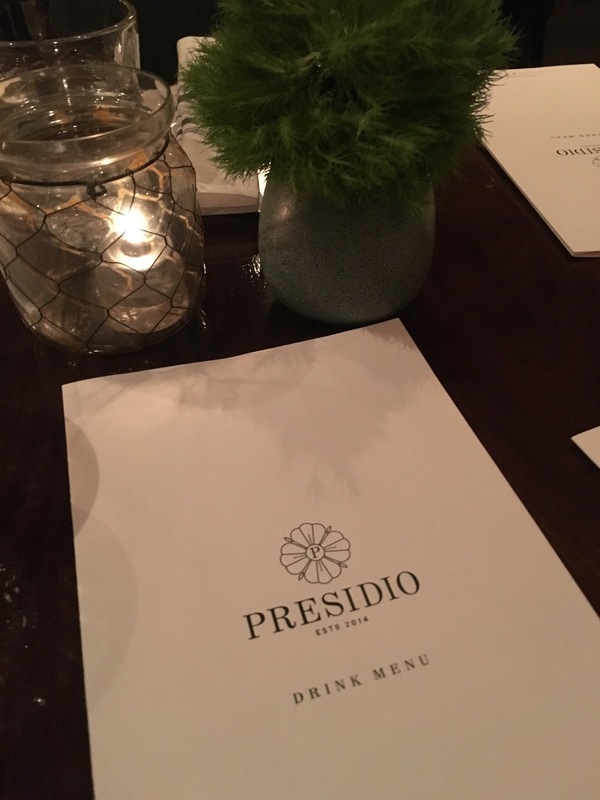 I'm giving Presidio a solid 4.5 ghosts out of 5! In case you didn't see on social media, a few weeks ago I had the chance to meet Anthony Bourdain. Yes, that Anthony Bourdain. What was the occasion? Well, Tony was in town with The Balvenie's Rare Craft Collection. The Balvenie is a single malt scotch whisky and Tony worked with the brand to curate a collection of five craftspeople to showcase their crafts. During the preview event, we got to see the makers at work, including a sculptor, metalsmith, watchmaker and The Balvenie's head cooper. We also heard from Tony himself and enjoyed tastings of whisky, including samples straight from the cask. It was a fun night and an incredible opportunity to meet Mr. Bourdain himself! Hands down, one of my new favorite restaurants is Pub Royale. My meal there with two other foodie friends was the kind of meal where I found myself saying OMG after every bite. The Wicker Park restaurant is a take on a British pub, serving British Indian and Northern Indian cuisine. While it might not be the most authentic Indian food, it's certainly one of the more interesting menus I've seen. Thirsty? 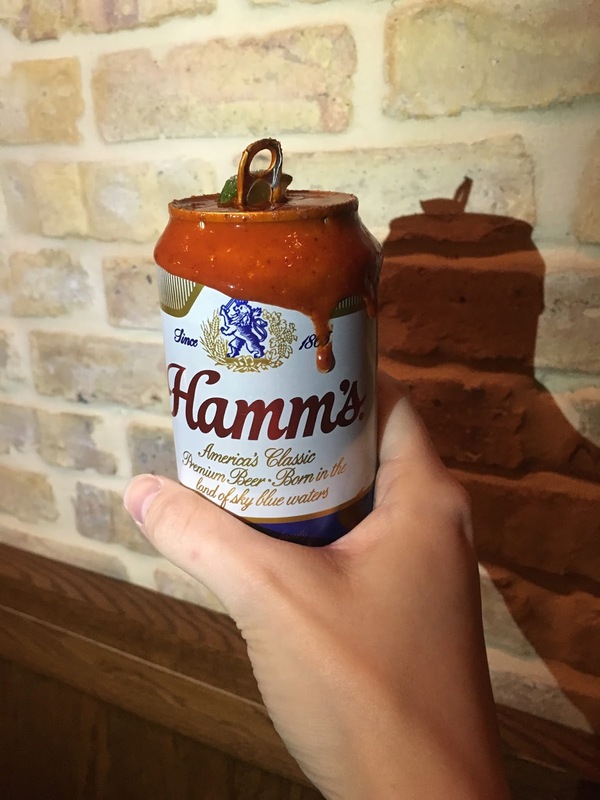 Try a dressed Hamm's aka a can of Hamm's dipped in hot sauce and topped with spiced salt and a lime. Warning, this gets messy. To start, we shared the samosas, lamb dumplings, and gobi manchurian. The best thing I thought we had was the gobi manchurian, tiny chunks of cauliflower battered and fried in a sweet and spicy sauce with sesame, cashew, and cilantro. They were little bites of heaven and oh so flavorful! The samosas were light and not greasy, and the lamb dumplings also had incredible flavor. We split two main dishes including the buttered paneer (aka cheese) with salted chili and whole wheat paratha on the side for dipping. The sauce was INCREDIBLE. It was so rich and creamy and what I'd like to call, Indian cheese dip. We also tried the India hot chicken which was certainly hot. The pickles on the side turned us off, but the chicken was crispy and incredibly juicy inside. The chewy naan on the bottom was OK, but didn't compare to the delicious paratha. Nearly everything was incredible though, so make sure you check it out! Side note: they also have a cool digitized menu board on the back wall with up-to-date beers on draft! I'm giving Pub Royale 4.5 ghosts out of 5! 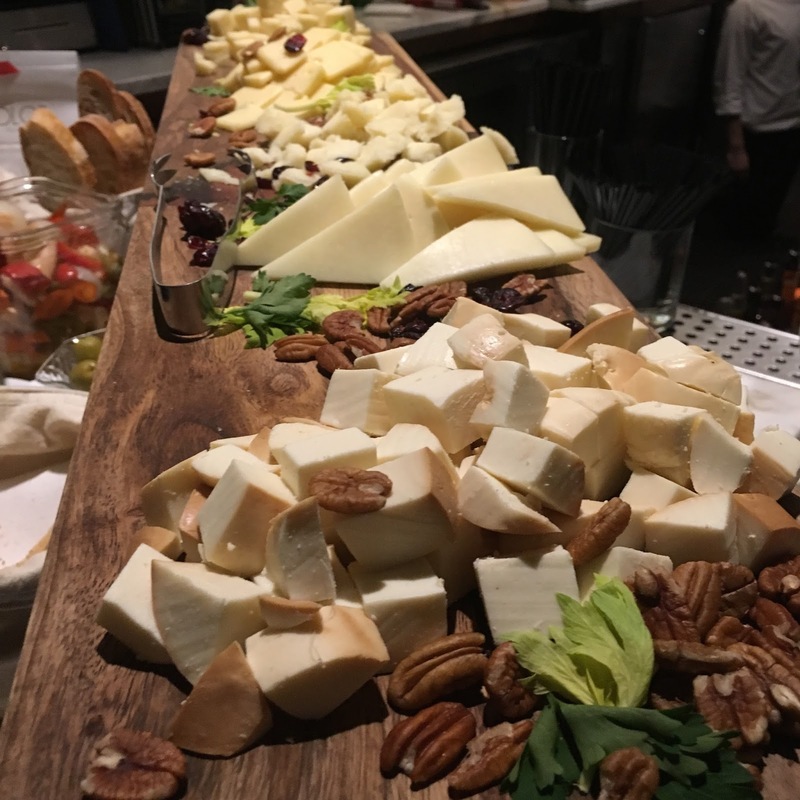 La Stanza, the back room restaurant inside Labriola Chicago just off the Mag Mile, is now serving Sunday brunch! I had the opportunity to check it out in person, and let me tell you, the brunch menu oozes decadence. Each Sunday from 8am-4pm you can enjoy brunch, complete with a live jazz band from 12-3pm. 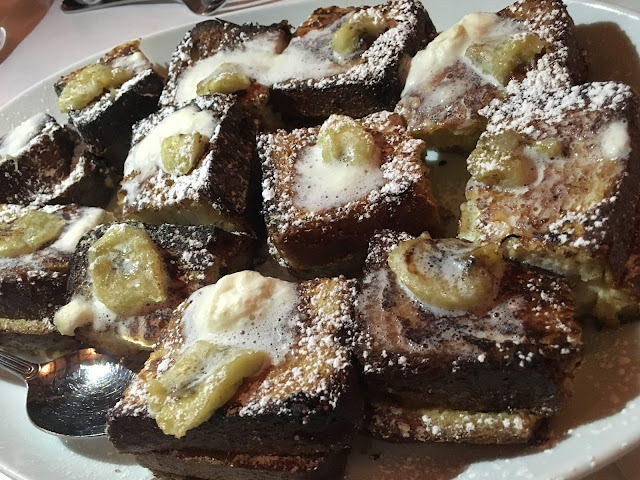 From biscuits and gravy and breakfast pizzas, to pastas, shrimp polenta, and banana almond French toast, you're bound to please your tastebuds. The best part of brunch has to be the DIY donut bar featuring Stan's Donuts. You can top your glazed donut with glazes, sauces, and a variety of toppings including candy and sprinkles! It's a kids dream (I think I had way too much fun decorating my donut)! Have you ever had a kati roll? Me neither, until a few weeks ago! 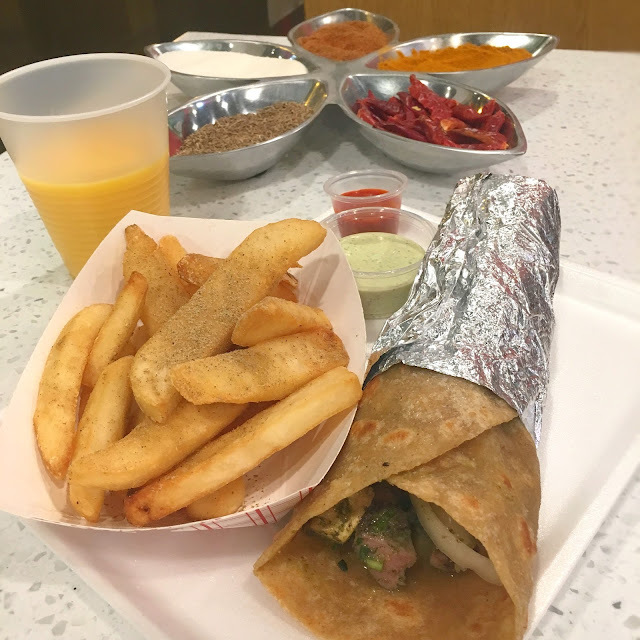 Thanks to the lovely Sapna of The Vegetarian Tourist, I had the chance to check out Hakka Bakka, a new fast casual Indian spot near DePaul in Lincoln Park serving up this popular Indian street food. The kati roll starts with fresh unleavened wheat flatbread and is topped with your choice of filling (chicken, paneer/artisan cheese, lamb, or chickpeas), and your choice of sauce: tikka (fiery hot), hariyali (cilantro and mint), or reshmi (cream-based marinade with Indian spices). You can also complete your roll with house made chutneys, and toppings such as egg, onions, lettuce, tomatoes, cucumbers, or pickles. I created my kati roll with half chicken and half paneer, hariyali sauce, and onions, cucumbers, and cilantro. A side of masala fries with cilantro aioli didn't hurt either! 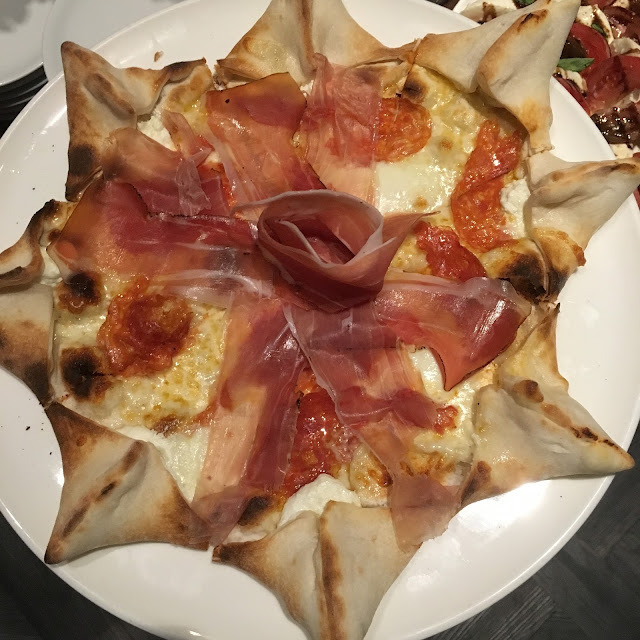 The roll was so flavorful because all of the ingredients are layered inside, ensuring a delicious experience with each bite. If you're interested in checking out Hakka Bakka, you're in luck! 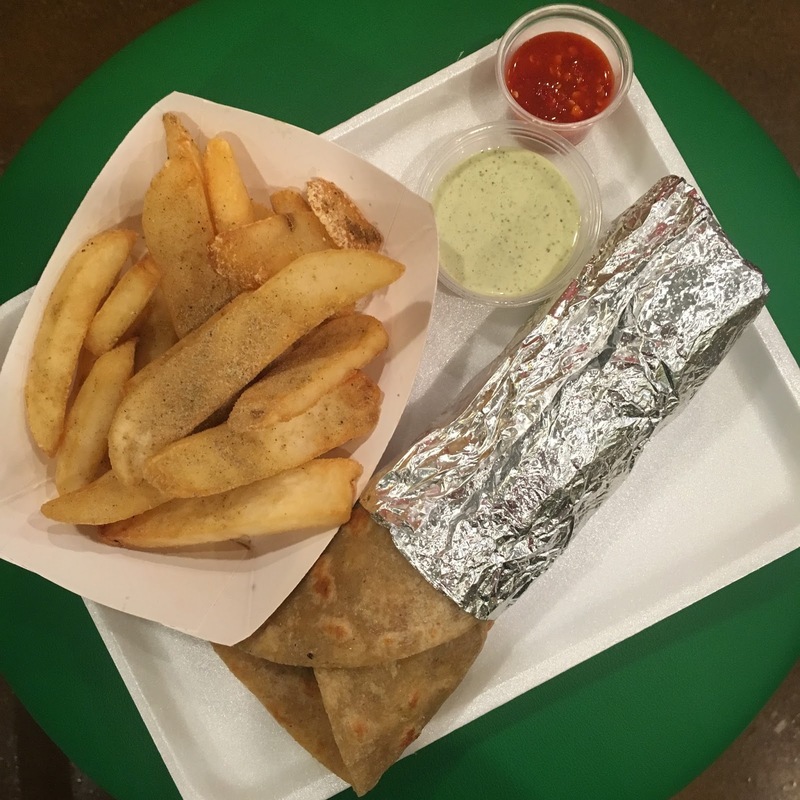 I'm giving away $30 to Hakka Bakka so you can stop in an create your own Indian kati roll. Scroll down to the bottom of this post to enter! I'm always impressed with the food and drinks at Four Corners bars, and Fremont is no exception. 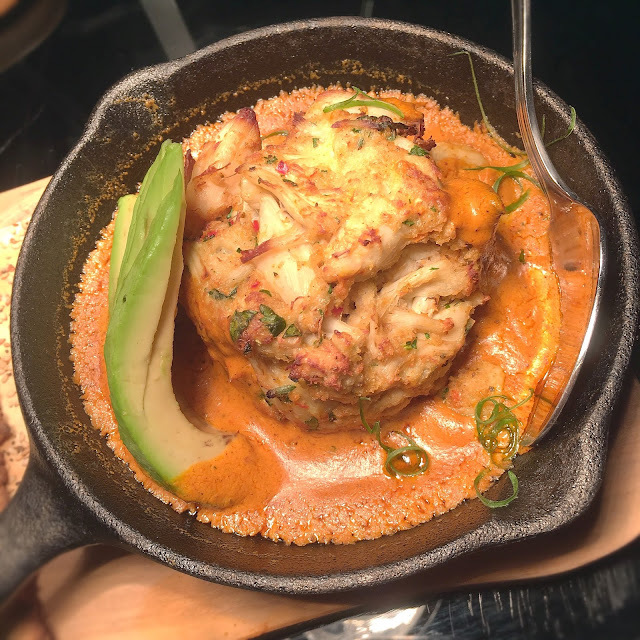 From jumbo lump crab dip and flatbreads, to waffle cheese (! ), fried chicken, and impressive shellfish towers, they have you covered on the food front. The new space is also hosting an old Las Vegas themed New Year's Eve party if you're looking for last minute plans in a swanky space. My second suggestion for happy hour is Dolce Italian, located in The Godfrey Hotel. I've been to the Italian hot spot before, but I just recently discovered that they really know how to do happy hour. 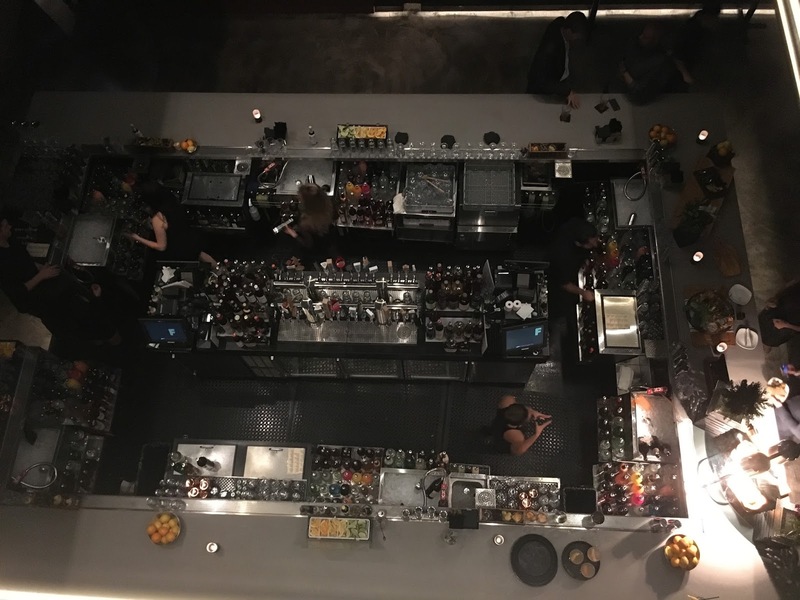 They have a great 8 Until 8 menu with cocktails, beer, wine, small plates, meats and cheeses for $8 each until 8pm in the bar. It's the perfect post-work spot for a glass of bubbly and some bites! 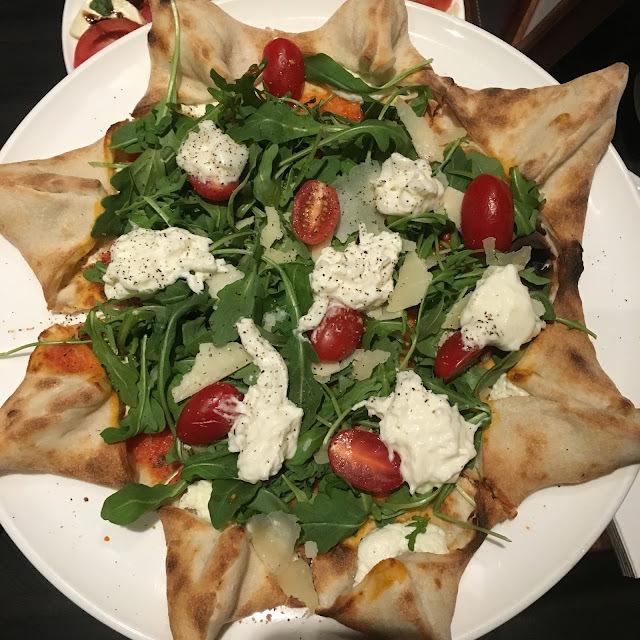 Another reason to stop by Dolce Italian is because they have one of the most Instagrammable dishes (yes, I said it), a star-shaped or stella pizza with corners that are stuffed with housemade ricotta! I may have tried three different varieties (all delicious). Note: my meals at La Stanza, Hakka Bakka, Fremont, and Dolce Italian were complimentary; however all opinions are my own. Note: Giveaway open to Chicago-area residents only. Retail value: $30. Enter before 12am CST on Wednesday, December 30th. This makes me want to go back to Pub Royale immediately - all those dishes look delicious! And I can't wait to try Dolce Italian's happy hour - what a great deal! No, I've never tried one.